We are working on a smartphone-friendly version. In the meantime enjoy the website on a computer or on a tablet. The People’s Republic of Bolzano is an open window on the Chinese community of the bilingual city of Bolzano, Italy. Here Chinese people live in an apparent integration among the Italian and the German communities to such an extent that there is not even a Chinatown, unlike other European cities. Why? Discover it here! You are entering in the english version of the Repubblica popolare di Bolzano. In terms of numbers, how big is Bolzano's Chinese community as a percentage of the town's population? Small, very small, just 0.6%. In fact, 633 of Bolzano's 105,713 residents are Chinese. Let's get to know a few of them a little better. Unlike in the rest of the world, in Bolzano we can't boast about a Chinese invasion or a Chinatown. On the contrary, here the Chinese community is so small and fragmented that it is hard to understand why local media and politicians occasionally talk about an 'invasion'. We plan to open a window on Bolzano's Chinese community so we can understand it a bit better, even if this only means discovering the real name of the almond-eyed barman we see everyday who goes by the name of "Mario". It all began in around 1900 when the first Chinese, natives of Zhejiang, became interested in Italy. This region is just a little smaller than the North of Italy but it has the same number of inhabitants as the entire country! In subsequent years neighbouring Fujian also became interested in Italy even if the majority of the Chinese in Italy still hail from Zhejiang. The majority of the Chinese in Italy come from the region of Zhejiang. This region is as big as Lombardy and Piedmont put together but has the same size population as Italy. In later years the waves of migration also involved the inhabitants of Fujian. The majority of the Chinese in Italy come from the same region. Bolzano is home to 633 Chinese. They began arriving around 20 years ago but only in the last 10 years has there been a growth in terms of numbers of immigrants and new businesses opened. This year 16 children have been born to Chinese parents and one day they will be able to choose whether to become Italian citizens or to maintain their Chinese citizenship as the People's Republic of China does not permit dual nationality. The graphic below shows how the increase in Chinese residents has led to an increase in second-generation Chinese. In 2014, 16 children were born to Chinese couples. Aside from the numbers, who are Bolzano's Chinese residents? We decided to interview 8 of them, a small group than cannot obviously fully represent the 633 residents. Nonetheless, the interviews can provide an indication of who they are, their experiences and what they think. What we therefore have is a fairly unexpected variety of stories, often made up of sacrifice and dedication that inevitably results in comparisons with "us", our approach to life and our culture. Yanghui Chen comes from Zhejiang and has been in Italy since he was 4. “I was completely brought up in a Western society – he explains - and almost all of my friends have been Italian. My parents acquired a way of judging that uses the Western method as a yardstick. I was brought up differently. As a parent you can't act as if you have a 'typically' Chinese child. I don't want to marry a Chinese girl. I'm not attracted to them physically, I find Western women far more attractive. 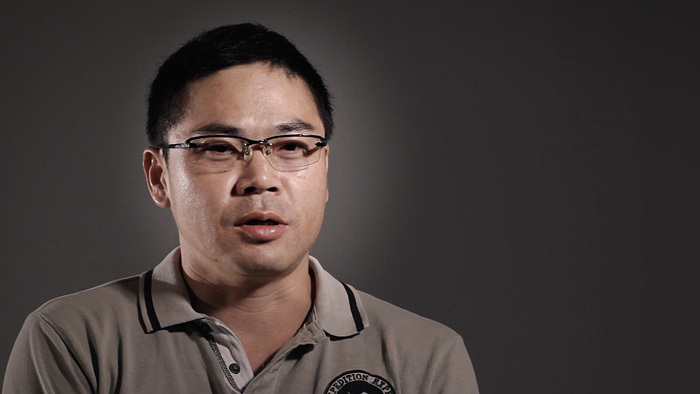 Yanghui Chen comes from Zhejiang and has been in Italy since he was 5. 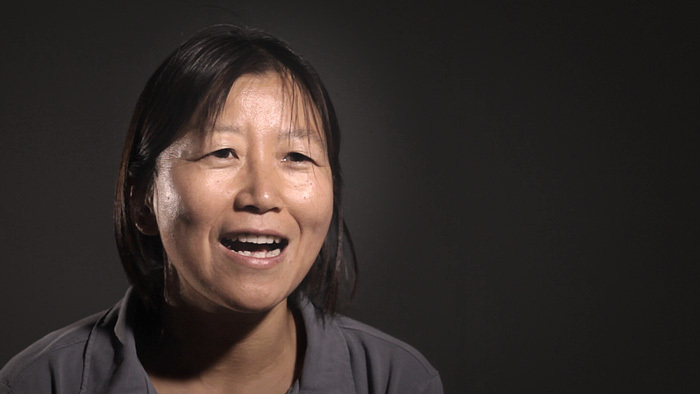 Hongling Yang has lived in Bolzano for 20 years, one of the first to live here. Honglin Yang has lived in Bolzano for 20 years, having originally come over because her cousin opened a restaurant in Piazza Mazzini. It was the only Chinese restaurant in Bolzano in 1990 and she managed it for 5 years. “It isn't easy being the owner, I didn't even take one day off”. Honglin describes how her country has changed since she left. “My colleagues have bought houses in China but for me it's no longer possible, now it is very expensive”, she says. “If I'd have known that my country would change so much I may not have come here, I would have stayed there". 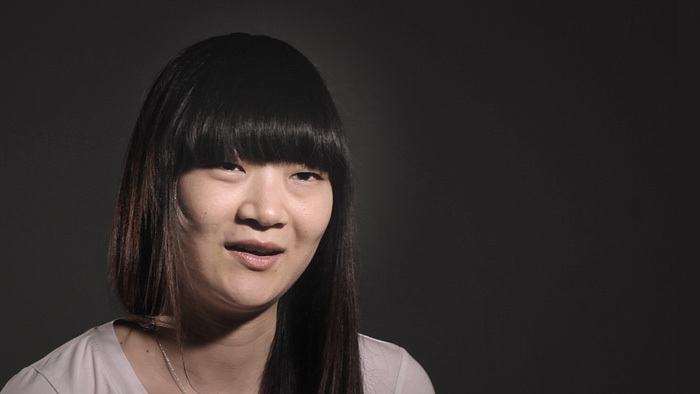 Yi Yi Chen from Wenzhou, has been in Italy since she was 7. Yi Yi Chen is 20 and comes from Wenzhou. She moved to Verona in Italy when she was 12 and then to Bolzano with her sister and father when she was 14. As is often the case, her mother had moved before the rest of the family. After school, she and her sister help out at the bar. Otherwise they would feel embarrassed asking their parents for money. Yi Yi Chen tells us about “guanxi", one of the pillars of the Chinese community, a system of relations whereby people can receive help from those who are already socially integrated in the place they intend to settle. 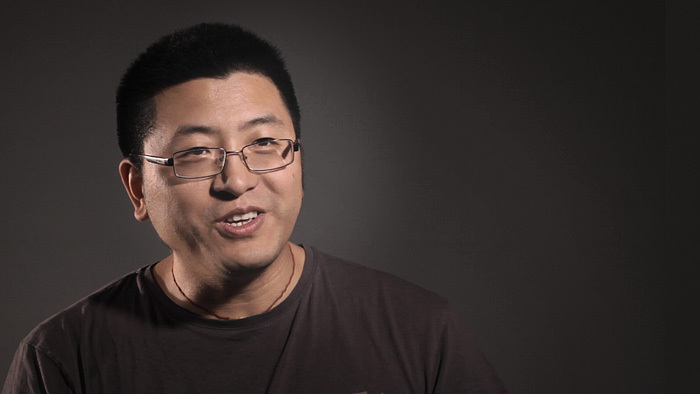 Xiaofeng Wang, computer science researcher at the Unibz, married with one children. 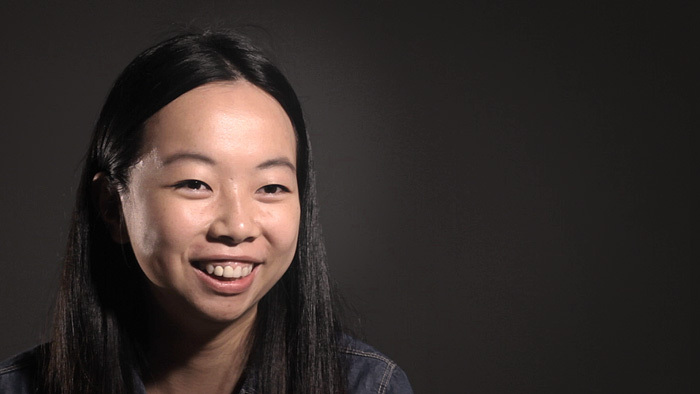 Xiaofeng Wang comes from Beijing, where she studied up until her 3-year postgraduate specialisation. She wanted to go to the US but together with her husband decided to come to Italy, even if she firstly completed her PhDs in England. She is now a researcher at Lub. “I am a bit unsure about teaching my son Chinese. I know it is important that he knows my language but it is very difficult because his world is more Italian than Chinese. Here in Bolzano he feels half Italian and half German”. 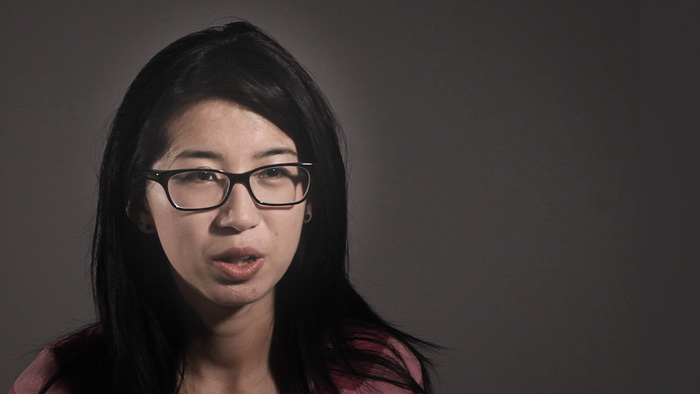 Yingjun Chen, economy student at the University of Trento, she arrived in Bolzano 7 years ago. 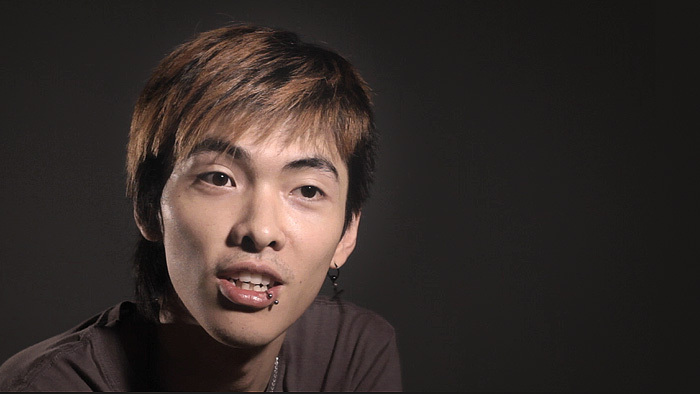 Yingjun Chen has been in Italy for seven years. She went to high school here and now she attends the University of Trento where she studies economics. Surprising everybody, her high school leaver's grades were outstanding. "That is perhaps because of the way people are taught in China; school is very strict there". Yingjun talks about equal opportunities. “Gradually we are achieving equality between the sexes". However, if she can find a good job in Italy she will stay. "Although given that the Chinese economy is developing strongly, I wouldn't exclude going back". Mouzhi Ge was able to keep up with the competition among Chinese families, working as a researcher at the Unibz. Mouzhi Ge was born in China and raised in England where his father and mother still live and work as an engineer and financial consultant respectively. His sister teaches in Oxford. After his specialisation in Ireland, Mouzhi Ge spent three years in Germany. He speaks Chinese, English and German. When he goes back to China his friends ask him how much he earns in Germany but, for him, this is a private matter. There is a lot of competition between Chinese and their desire to come to the West is connected with their economic security. 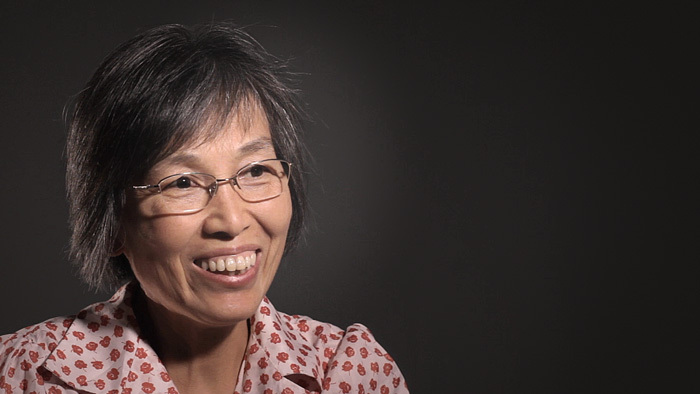 Romina Chang, was born and grew up in Bolzano, reveals the difficulties of being a "banana", Chinese and Western inside out. Romina Chang was born in Rome and until she was 18 she also had a Chinese name, Yuen. “I felt different – she says – but I have always lived in Italy, I went to Italian school and so I have never thought of myself as anything other than an Italian citizen. Only when I was in high school did I discover I was a Chinese citizen. Romina explains how people raised overseas are called "bananas" by the Chinese. "Because on the outside we are like the Chinese (yellow) but on the inside we are like Westerners (white)". The cook Jun Wu Xu, said "Maximum", tells the story of his family, originated in China as farmers. Xun Ju Wu says he has a difficult name and therefore goes by the name of Massimo. He was born in the province of Zhejiang. He describes how people were literally dying of hunger in the 1960s and how this led to a strong wave of migration. He opened his first restaurant in 2000, in a small village in the Val di Fiemme. He then worked for ten years in a window and door frame assembly company. "Nobody had ever seen a Chinese man employed at a worksite", he says. Now he is once more a restaurateur and manages Bar Carducci. Of the 9543 companies in Bolzano, only 126 are Chinese-run, i.e. 1.3%. Some way short of an invasion. Analysing the raw data, one discovers that only 126 out of the almost 10,000 businesses in the city are Chinese-owned. The majority are bars and restaurants (64%) while there are also a few clothes stores, hairdressers, pharmacies, food stores and games arcades. Out of 261 local restaurants, only 32 are Chinese, i.e. 11.8% of the total. Even in terms of restaurants, the figures are far from out of the ordinary and nothing like an invasion: out of 261 local restaurants, just 32 are Chinese, i.e. 11.5%. Compared with other far larger communities, the Chinese run retail businesses meaning they are more visible than, for example, the Romanian and Albanian citizens that work on worksites or farms. The interactive map shows that there is no Chinese neighbourhood: their businesses, and therefore also their homes, of which we know little, are distributed across the city in a uniform and fragmented way. Rather than an invasion, what we are seeing is an unprecedented integration process, perhaps the only one of its kind in Italy. Bolzano has seen a gradual growth in registered Chinese-run businesses but they are distributed across the city, just like the homes of the Chinese, which are certainly not all located in the same areas. The Chinese community doesn't appear that closed either. There are people like Massimo that plan to stay in Bolzano rather than return to China (as is the tradition when reaching retirement age), or Hongling, who tells us that she has acquired self-awareness and freedom of thought here and isn't sure if she could live the same way in China, and Yanghui who describes himself as a fully-fledged Bolzanino and prefers to serve Bratwurst in a kiosk than continue his parents' traditional restaurant business. What we have discovered in these months of research is how it is the young that are guiding the Chinese community towards a "new tradition" in which the generations clash and values are mixed together, giving rise to new forms of identity. Ice cream shops, delis and hairdressers are opening up and, at the same time, researchers and university students are enjoying academic success because of their determination rather than subsidies or assistance. As Ju Wu reveals, compared with the first generation, the young Chinese have all been educated. So why has this talk of a Chinese invasion spread among the population? One possible answer is because the majority of Chinese businesses work in close contact with the public, meaning they are much more visible than other communities. As reiterated by Ju Wu or Mouzhi, there are a number of factors that distort our day-to-day perception of the Chinese. First and foremost the economic aspect: they came to Bolzano to improve their quality of life, making enormous sacrifices and opening businesses thanks to loans from friends and relatives that they must now pay off. This leads many to work seven days a week, twelve hours a day, severely limiting their ability to integrate with the local population. We are slowly witnessing a change in the community, which is increasingly integrated in the local fabric, helping to bust the myth that it is closed and impenetrable. The integration process is neither quick nor easy, particularly if we consider how Bolzano is a place with a dual cultural identity in which the two communities often still lead parallel existences. Despite this, it is an atypical Italian city with great potential that could open the way to new forms of co-existence, and not just between Chinese and Italians. Join the Republic on Facebook! Companies data kindly provided by "Camera di Commercio Bolzano". elaborazione dei registri anagrafici comunali. Repubblica popolare di Bolzano is a Visual Journalism project, made in 2014.